Recently it seems that we are seeing housing estates pop up everywhere around Hamilton. If you live in the Hamilton region you have probably already heard about plans from VicUrban development to release 300 lots of land on the edge of lake Hamilton. Obviously this is a long term project spanning over a ten year period. At the weekend launch of this program around 300 people attended, yet only one block of land was sold. Builders and homeowners are required to install rain water tanks which will be plumbed to the toilet, laundry and hot water system. Apparently this is their idea of sustainable building. However building on this area is not sustainable at all. Not only will it create much unwanted noise pollution, but it will also increase the amount of traffic on Ballarat road. From an environmental perspective, it will destroy natural habits of animals and birds which inhabit the land, and also destroy the scenery of Lake Hamilton. 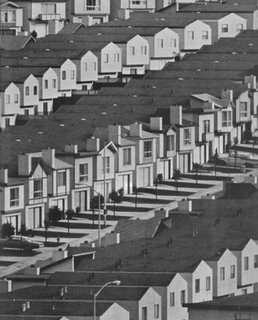 Do people really want to live in artificially made communities? These houses that are being produced in the estates are not unique in the slightest but look overly modern for a rural town. Obviously this is an example of a major company trying to make a quick buck at the expense of a rural community. People of Hamilton need to remember that we are a rural community and not a suburb in a capital city. If this sort of building continues within Hamilton we will eventually end up with a concrete jungle of ticky-tacky houses that look the same. Say NO to the Lakes Edge housing estates! For more information on VicUrban, the State Government agency responsible for this venture in to Hamilton, see their website. The development in Hamilton does not represent the interests of the people of Hamilton, the urbanisation of Hamilton is not sustainable and will inevitably change the character of this rural community forever. 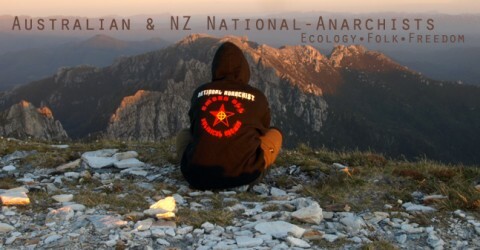 National-Anarchists in the Hamilton area and throughout Victoria will never allow these commercial invasions in to local communities to go unanswered.